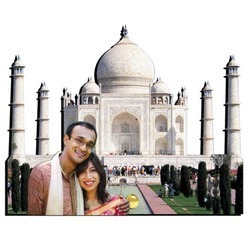 We are a leading Wholesaler of india gate wooden cutouts, taj mahal wooden cutouts, golden temple cutouts and wooden cutouts from New Delhi, India. Being one of the leading providers of India Gate Wooden Cutouts, we never compromise with its quality. Thus, we acquire the products from vendors, who engage in using the finest raw materials and modern machines, in accordance with the set industry norms and guidelines. Owing to this, the product’s finishing, strength, and durability are highly commendable in nature. In order to provide maximum satisfaction to our clients, we acquire this Taj Mahal Wooden Cutouts Out from vendors who never compromise with the quality they provide. Thus, the finest raw materials and modern machines are used in its making, as per the set industry norms and guidelines. In addition, the offered range is marked at the best rate possible. Looking for Wooden Cutouts ?